ETREND Hightech Corp. was founded on September 2000, which is the first 100% professional Analog and Mixed-Signal Ics testing service provider in Taiwan. The major business scope including wafer sort, Laser triming , ICs final test,Visual Mechanical Inspection, tape & reel, and drop shipment. Visit Juan Smart Manpower Agency at Mabini St., cor Sta Monica St., Ermita, Manila. Shared by Manila Economic Cultural Office, acting embassy of the Philippines in Taiwan, the 'visa free' entry of Filipinos is extended. Posted by Ms. Gina Lin of MECO on her facebook account, info from Director Irenne Ng. The date of extension will be 1year, up to July 2019. This is the positive result of Filipino tourist going to Taiwan. The outcome is really good and as long as no Filipinos is breaking the law of the country, the visa free is extended. Every Filipinos visiting Taiwan should avoid overstaying in the country or involved in drug trafficking or human trafficking. Follow the law of the country. Hiring Factory Workers for AU Optronics Corp.
Visit and apply personally at IMIP INTERNATIONAL MANPOWER SERVICES at MIP Building, 28 GSIS Avenue GSIS Village, Project 8, Quezon City, 1116 Metro Manila, Philippines. Line will be closed if reached the maximum number of applicants. Philippines ranks second as the most hated country by the Taiwanese behind North Korea from a poll released by Taiwan Public Opinion Foundation. Released by a non governmental and non profit institute revealed Singapore is the most like country and North Korea is the most hated country by the Taiwanese. Below are the top 5 like most and hated most. Philippines has a 52.9 percentage on the poll. Some reasons for the high percentage of hate is the government factor and some issues encounter by both countries from the past. Hualien Country, home of the famous Taroko Gorge definitely hates drug. A polical campaign in Hualien Country in Taiwan. As the image of Philippine President Rodrigo Duterte's image is use for a political campaign. We all know that what the Philippine President is capable of. As the campaign is used against illegal drugs and others. Taiwan and Philippines has close ties on terms of fighting against big time drug trafficking. It is used on a billboard on a mobile campaigning thru Hualien County. Images from the Facebook post of Nieviv Sucuaje. Chinese Taipei (Taiwan) basketball team will be facing Gilas Pilipinas as host for the qualifiers of FIBA World Cup. Chinese Taipei will use their homecourt advantage as their edge for their second meeting. The game is schedule on June 29, 2018 (Friday) 07:00 in the evening at Taipei Heping Basketball Gymnasium near National Taiwan University in Taipei. Game scenario for Gilas Pilipinas is that the game has no bearing since the team is already qualified to the second round, although still needs a win if basketball quotient is needed.While Chinese Taipei need to win one more to advance to the second round, defeat on the game means do-or-die against Japan in Japan. Gilas Pilipinas beat the Taiwanese squad in Manila, Philippines on their first meeting of the qualifiers. Outside sniping of the Taiwanese against the physical gameplay of the Filipinos, Game On. Gilas Pilipinas parading naturalized center Andray Blatche, Jayson Castro, Terrence Romero, junemar Fajardo, Calvin Abueva and others. Chinese Taipei with also thei naturalized center Quincy Davis III and some well-known players like, Wen-Ting Tseng, Chi-Wei Lin and others. The Department Of Foreign Affairs launches the ePayment Portal for passport applicants. According to DFA, this is an upgrade of the Online Appointment System and passport applocats can pay through different payment centers nationwide. Crediy cards, debit cards and cash transactions can be used in selected banks. 1. Visit Passport.gov.ph and schedule an appointment, fill up application and proceed to payment. A reference number will be emailed. 2. Proceed to your preferred Payment Center to pay the passport processing fee. Present the reference number and keep the reciept. 3. A confirmation of your payment will be sent to your email. Click the link, save the file and print the document and bring it on your scheduled appointment. 4. Show up personally to your chosen DFA office and present the printed document with valid ID. Payment centers include Bayad Center, EcPay, Pera Hub, Robinson’s Business Center and Department Stores, Waltermart Department Store, 7-11, USCC (Western Union), Villarica Pawnshop. Php50 will be charged for the service / processing. By August 2018, ePayment Portal can be use nationwide. If found interested, visit agency office of Eyequest International Manpower Services Incorporated at Room 302-305, 407-410 Vareb Mansion, Mabino St., Malate, Manila. Located in Pingxi District in Shifen is known for its Shifen Waterfalls scenic area. The waterfall is 20 meters tall and 40 meters in width going through a lake and the place is known as the most scenic area in Taiwan. Its scenic areas includes camping areas, barbecue pits, villas, fishing area, recreational areas, sightseeing areas, also a suspension bridge. The waterfall is about 2km and about 20-30mins walking distance from Shifen Old Street. From Taipei Main Station, take northbound train towards Ruifang Station and transfer to Plarform 3 of Pingxi Line and drop off at Shifen Station. Can purchase ticket at station or use easycards. Platinum Optics Technology will directly hire 120 Male and Female Machine Operators via government to government program under Department of Labor and Employment (DOLE) and Philippine Overseas Employment Administration (POEA) which is called special hiring program. Bring all original documents for verification upon application. Applicants should register online www.eregister.poea.gov.ph. Deadline of submission of application will be on June 18, 2018 for regional offices of POEA and June 20, 2018 for Ortigas Office of POEA. Interview date will be on June 29, 2018 via skype. Are you a OFW in Taiwan and dreaming to work in European Country like Poland? Well, you must think a hundred times. There are agencies in Taiwan bound to European Country and Canada wherein they collect excessive amount of placement fee that ranges from Php 450,000 to Php 500,000. The authorities are giving advice not to apply for the said country because according to the trusted source, the agency like (G***C) in Taichung Office had already sent 200 applicants and few of them left in their original employer and the rest run away from their work (TNT). Because they said , they were dupe by their agency. Their work in Poland is different from the contract and aside from that they only received a monthly salary of Php 12,000. Eight Filipino hikers (1male, 7 females) have been rescued from the mountain range around Tachung Taiwan. All 8 Filipino hikers are migrant workers from Hsinchu, Miaoli and Taichung which formed a group to hike in Guagan or the mountain range of 7 Heroes in Guagan near Taichung. The hikers were stuck at 200 meters near the entrance and were found 1hour later. No injuries were reported, the rescuers provided food and water to the hikers and sent to police station in Guagan. The fire department said that the group lacks in proper materials in hiking the mountain. They have no local guides, no maps and flashlights. Also reminded that be aware of the time when hiking. Being deployed and working in a good company with yearly increase on its capital market makes good income. Below are the top 10 companies in Taiwan in terms of market capital. Others honorable mentions include Innolux ($5 B), AU Optronics ($4.9B), Inventec ($2.6 B) and Wistron ($2.1B). Taiwan's Nan Ya Plastic Corporation will directly hire 101 Male Factory Workers, Machine Operators and Molding Production via government to government program under Department of Labor and Employment (DOLE) and Philippine Overseas Employment Administration (POEA). Bring all original documents for verification upon application. Applicants should register online www.eregister.poea.gov.ph. Deadline of submission of application will be on June 20, 2018 for regional offices of POEA and June 22, 2018 for Ortigas Office of POEA. Interview date will be on June 29 and 30, 2018. Nan Ya Plastics Corporation manufactures four kinds of products: Plastic Processing Products, Petromechanical, Electronics Products and Polyester. Advantech is expanding worldwide and investing on its regional offices in Asia like Singapore, Japan, Vietnam, Thailand, India, Malayasia and Philippines, also includes Russia and Brazil. Advantech targets talent from its home country who are currently studying and working here on Taiwan as where the company headquarters is located. If selected and pass the evaluation of the trainee or internship program, you will be located to the regional office / factories of Advantech. Will be assigned as Engineer, in Marketing, Sales or E-Sales and Office Admin. The video of a Teenage guy who is an Arab national went viral wherein he is looking for his former nanny whom he considered as a mother, according to him, he was an orphaned and in the orphanige a Pinay OFW took care of him for a long time. He even know how to speak Tagalog. You can see in his eyes and the way he acts seem like he is Filipino National. And according to him, he did not anymore see his “Nanay” after he was being transferred to another orphanage. Now he is asking if someone knew “Amy” whom he considered as his true mom. His Nanay amy is from Cebu according to him. Hope someone could help to find his “Nanay Amy”. A migrant worker is looking for justice after she has been beaten by her former close friends. Her three former friends went to her house and then she was beaten mercilessly which causes bruises in her face and other parts of her body. And not only that her friends destroyed her laptops and cellphones. According to her, her friends went to her house under the influence of alcohol. And now the assailant is begging for forgiveness after the horrible incident which causes her life at risk. Click here for full details and actual video. Hiring Factory Workers for Pegatron Corp.
PEGATRON Corporation (hereafter referred to as “PEGATRON”) was founded on January 1, 2008. With abundant product development experience and vertically integrated manufacturing, we are committed to providing clients with innovative design, systematic production, and manufacturing service in order to comprehensively and efficiently satisfy all of our customers’ needs. PEGATRON features a solid R&D team, friendly, fast service quality as well as a high degree of employee cohesion. Furthermore, we have combined EMS and ODM industries to become an emerging Design and Manufacturing Service (DMS) company. Consequently, we are able to offer industry-leading, state-of-the-art products and profitable business opportunities for our partners. Hiring Male Factory Worker for ShinBright Optronics Corp. The company introduced optical film precision coating production equipment to produce various optical films such as antireflection films, anti-glare films, oil-repellent films, reflective films, and protective films for liquid crystal displays (LCDs). Panasonic Taiwan, a member of the global Panasonic Group, was established in 1962. From the outset, we have recognized our responsibilities as industrialists, devoted ourselves to the progress and development of society and the well-being of people through our business activities, thereby enhancing the quality of life throughout the world. Agency: Grand Placement & General Services Corporation. Hiring Factory Workers for Darfon Electronics Corp.
Darfon Electronics Corp. was founded in May 1997 and is dedicated to providing “one-stop shopping” precision components to ODM and OEM clients. Darfon’s product lines include Human Interface Devices, Power & Energy Devices, Integrated Components & Material, and Green Devices. Now Darfon is the world’s No. 1 notebook keyboard manufacturer. Our company is able to provide various kinds of a pressure vessel, tank, reactor, tower, distiller, heat exchanger, pipeline, boiler, heater, and steel structure in varied material of carbon steel, stainless steel, alloys of Titanium, Aluminum, Zirconium, Hastelloy, and Co-Mo, etc. Besides the domestic market, our products are also exported to South-East Asia, China, US, Japan and etc. For example, we have been identified by DuPont for many years as a high-end shop and recently we have just accomplished two of DuPont’s project and delivered the equipment to the United State. With experience 2 to 3 years experience in Gas Welding, Argon Welding, Electric Welding. Taiwan Hiring: Factory Workers for Jia Her Paper Co., Ltd.
Company: Jia Her Paper Co., Ltd.
Taiwan Hiring: Factory Workers for Chilisin Electronics Corp.
Chilisin implements strict management of quality and service, providing competitive products, efficient delivery and timely support for its customers. Chilisin is widely recognized by international companies such as Microsoft, SONY, Samsung, PACE, Panasonic, Nvidia, Foxconn, Harman Becker, Technicolor, Pantech, Quanta, Compal, Wistron, ASUS Group, MSI, Gigabyte, Alpha Networks, Zyxel, ChiMei, etc. Hiring for An Chuck Industrial Co. Ltd.
Company: AN CHUCK INDUSTRIAL CO., LTD. Listed, OTC companies have to take care of today's results. Hiring Factory Workers for Chao Shin Metal Industrial Corp.
Company: CHAO SHIN METAL INDUSTRIAL CORP. Hiring Technician for Panther Technology Co., Ltd.
Company: Panther Technology Co., Ltd.
PAT provides professional testing services for mixed-signal、 logic、Analog and RF products. For better services, we also provide to develop a test plan for the new project with customers from 1997. Have experience in IC testing, meter measuring, and soldering iron. Company: UNION DEVELOPMENT FROZEN CO. LTD. 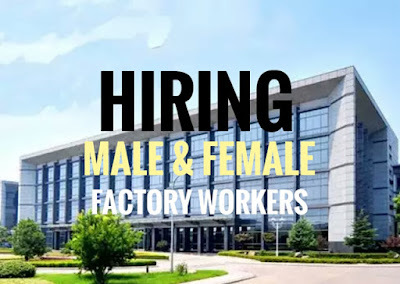 Hiring Factory Workers for Chieftek Precision Co., Ltd.
Company: Chieftek Precision Co., Ltd.
Chieftek Precision Co., Ltd. (CPC), revolves around a core team of professional managers, engineers, and highly skilled technicians. Together, the company devotes its efforts toward R&D, the manufacturing of high-quality linear motion components and long-term sustainability. CPC attained its initial success by focusing on the miniature linear motion field with its highly acclaimed MR series linear guides. These found major use in precision measurement and inspection, semiconductor and other related electronic industries. As business grew, so did the company’s product line. Today, cpc’s linear guides range from our vaulted MR serried, the general purpose ARC series for automated machine tools, HRC and ERC series for heavy load machine tools, to the RR series with roller bearings for applications requiring high rigidity and precision under extra heavy loads. cpc’s linear guides are compatible with industry standard sizes while providing superior rigidity and precision. Hiring Factory Workers for Formosa Taffeta Co., Ltd.
Now Hiring Factory Workers for Catcher Technology Corp.
Catcher Technology started out from researching magnesium die casting technology in 1988. In 1994, the company began cooperating with major laptop manufacturers in Taiwan and developing magnesium die casting parts, and in 1998, it earned successive certifications from major manufacturers. Hiring Factory Workers for ROC-Keeper Industrial Ltd.
All the oil seals designed and manufactured to fit high-performance engine operation. We use FKM (Viton) and ACM (Polyacry) rubber for different portions and applications. We accept any new specification and can be tailor-made to fit your application. We designed and manufactured pinion oil seals, axle shaft seal, hub seals for the heavy, medium and light duty applications. Depending on application and customer's requisition, different rubber materials, NBR, ACM, FKM, Silicon and configuration of oil sealing lips are used and designed to fit your job. 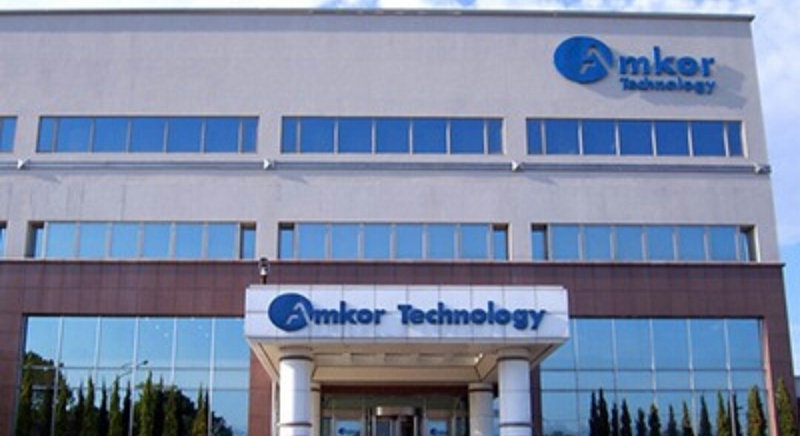 As the original pioneers of the OSAT industry, Amkor has helped define and advance the technology manufacturing landscape. Since 1968, we’ve delivered innovative packaging solutions with the service and capacity global customers rely on. We’re proud of what we’ve done, and can’t wait to show you what’s next. Hiring Factory workers for Tung Pei Industrial Co.
Company: TUNG PEI INDUSTRIAL CO., LTD.
Tung Pei Industrial Co., Ltd. established in 1966, we are a joint venturer with NTN Corporation, Japan and the largest ball bearing manufacturer in Taiwan with capacity over 15 million pieces per month. Except being OEM of two worldwide famous brands, we also created our own TPI brand since 1983, our product is marketed all over the world and won excellent reputation from all our customers including HONDA, YAMAHA, SUZUKI group, DELPHI, TRW, GATES, GE, etc. Must know to use instruments like Verner Caliper, etc.